Here’s one for the pub quiz enthusiasts among you: what Academy award-winning actor, who has appeared in Hannah and Her Sisters, The Ipcress File and Batman Begins, was born Maurice Joseph Micklewhite? The fact you’ve found this page on Top 10 Films tells me you know the answer already! Michael Caine’s birth name has to be up there with Allen Stewart Konigsberg and Norma Jeane Mortenson as the most recognisable pre-famous names to become Hollywood royalty. For those wracking their brains about Konigsberg and Norma Jeane, it’s Woody Allen and Marilyn Monroe! Caine has been one of my favourite actors for a long time – probably ever since I saw him for the first time in Frank Oz’s Dirty Rotten Scoundrels. The charismatic actor from South London has enjoyed a long and diverse career, continuously re-establishing himself as the years have gone on. At the beginning, a product of swinging 1960s London, he was the suave and sophisticated anti-hero seen in films such as Gambit, The Ipcress File and Alfie. Adding a rugged aspect to his game he then made late 1960s and 1970s independent British films such as The Italian Job, Get Carter and Sleuth, maintaining a slightly off-kilter, sinister element to each of his characters that beautifully muddied the line between hero and villain. Then Hollywood came calling, restyling once again with a Los Angeles tan and perfectly manicured blonde hair for John Huston’s The Man Who Would Be King, Irwin Allen’s sequel to The Poseidon Adventure, and Brian De Palma’s Dressed To Kill. 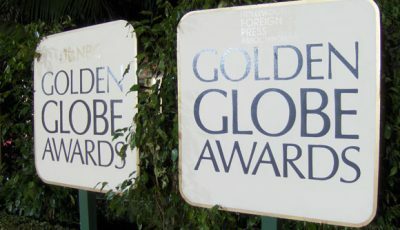 – Michael Caine has two Academy Awards for Best Supporting Actor – these were for Woody Allen’s Hannah and her Sisters, and Lasse Hallstrom’s The Cider House Rules. Despite inconsistency in the 1980s and 1990s, the now seasoned actor produced some of his finest performances in such films as Educating Rita, Hannah and her Sisters (for which he won the Academy Award for Best Supporting Actor), and Dirty Rotten Scoundrels. While he would rather forget Jaws 4: The Revenge, some of his lesser seen movies from the period are well-worth checking out such as fun cold war spy thriller The Fourth Protocol and role-reversed Sherlock Holmes movie Without A Clue. The mid-1990s were a period of stagnation for Caine, he had practically retired from acting, but he re-tooled again, utilising his seasoned maturity to find roles that brought out the best of him as an older actor. This brought yet another Academy Award win for The Cider House Rules, while his turns in Little Voice and The Quiet American were also widely praised. Sending himself up in Austin Powers film Goldmember showed his sense of humour, as did a fun turn in Miss Congeniality. Now enjoying his later years as one of director Christopher Nolan’s most dependable assets having featured in The Prestige, Inception and all Nolan’s Batman films, Caine has established himself as one of the finest British actors of all time. 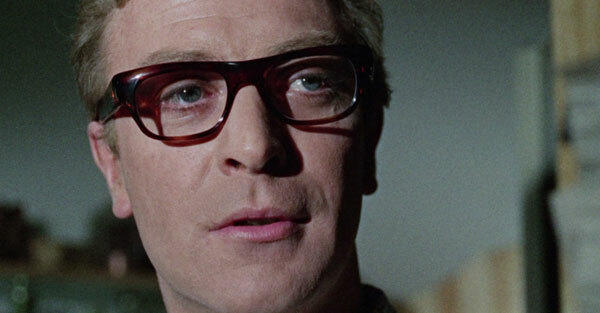 Caine is an absolute delight in this smartly constructed film version of Ira Levin’s play. The dependable Sidney Lumet directs proceedings which take place almost exclusively in the Long Island home of Caine’s struggling playwright Sidney Bruhl. Having received the manuscript of a play called Deathtrap from one of his young writing students, Bruhl decides to invite its creator to his home under the pretence of refining it. However, the increasingly desperate Bruhl’s plan is to kill the man and pass the play off as his home with the help of his ailing wife. Taught, at times funny, and satisfyingly full of plot twists, Deathtrap, which also stars Christopher Reeve and Dyan Cannon, is an entertaining ride similar in style to Caine’s 1972 film Sleuth. 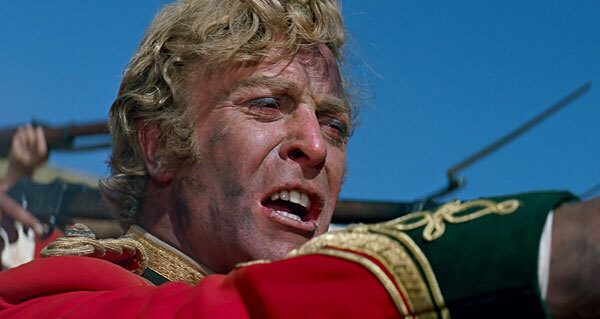 The film that introduced the world to Michael Caine on a grand stage, Zulu tells the story of the Battle at Rorke’s Drift. It was here that 150 British soldiers defended an outpost during the Anglo-Zulu War in South Africa from several thousand Zulu fighters. 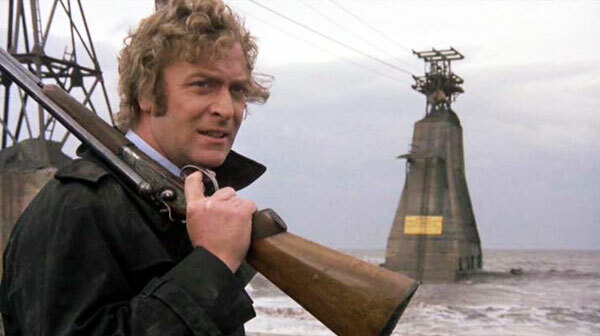 Michael Caine recalls some of that Get Carter take-no-prisoners spirit in this tale of urban decay, lawlessness and retribution. The film features one of Caine’s best performances, made even more essential because it comes more than 50 years after he made his first one. The actor hasn’t lost his touch, indeed, he only seems to get better. This is essential viewing and one of the best British movies of the 2000s. Caine and Steve Martin excel in this riotous comedy about two conmen who prey on rich women for financial gain. When Martin’s small-time crook Freddy Benson arrives on Laurence Jamieson’s (Michael Caine) patch in the French Riviera, the American is in awe of his British counterpart’s ability to extract significant amounts of money from the women he cons. Eventually persuading Jamieson to teach him the tricks of the trade in return for leaving his turf, the two men come to blows over American heiress Janet Colgate (Glenne Headly). What ensues is a battle between the pair to gain the most money from Colgate. The film is a triumph thanks to Caine and Martin’s terrific chemistry and charisma. 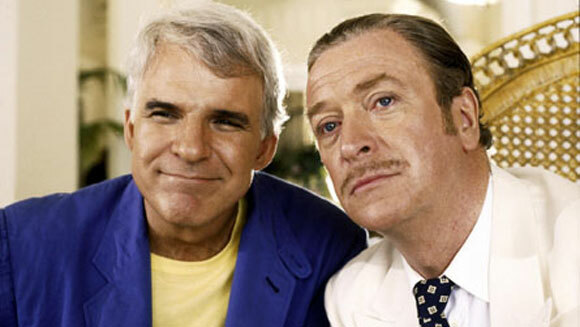 Dirty Rotten Scoundrels is one of my favourite films and features in a number of my top 10 lists including Top 10 Steve Martin Films & the Top 10 Comedy Double Acts of the 1980s. It also featured in my article about directors Frank Oz and Ivan Reitman & was one of my top 10 Pick-Me-Up Movies. 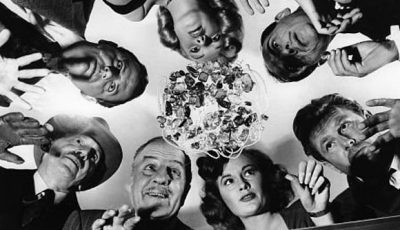 Best remembered for the two-handed face-off between a couple of cinema’s greatest heavyweights – the incomparable veteran Laurence Oliver and the young, dynamic upstart Michael Caine – Joseph Mankiewicz’s Sleuth is all about watching skilled actors plying their trade to perfection. Based on Anthony Shaffer’s Tony-awarding play, this mystery-thriller remains glued to its two leads as the roles of protagonist and antagonist blur to keep you on the edge of your seat. It’s dense, deeply layered and intelligent but at the same time, simple, straight-forwardly staged and pointed. Fittingly, Olivier and Caine were nominated for Academy Awards for their performances. The anti-Bond movie by the makers of said franchise. The Ipcress File was intended to show spies in a slightly off-colour, off-kilter world when compared to James Bond. Certainly, director Sidney J. Furie’s bizarre camera angles aesthetically sidesteps the gloss of 007, while his avoidance of exotic locations furthers magnifies the disparity. In fact, Michael Caine’s Harry Palmer has only the grey skies of London to enjoy, his spy-skills put to the test in sparse, malnourished warehouses. Take out the action sequences, the sun-kissed beaches, the shark-infested moats and laser beams, the grandiose villains with names like Goldfinger and Mr Big, and a steel-toothed henchman named Jaws and what are you left with? A lot as a matter of fact. The Icpress File is a taught, downbeat spy-thriller with Caine sporting a brawler’s mentality and a robotic preciseness to the way he does business and pleasure. It is engaging in a different way to Bond, particularly because Harry Palmer is fallible and his survival is far from assured like 007. Caine is brilliant as perennially inebriated university professor Frank Bryant who begins teaching ditzy but bright Liverpudlian girl Rita (Julie Waters) literature for her Open University course. 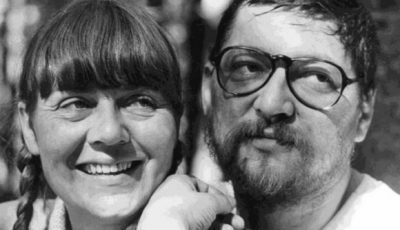 There’s the instant imbalance of personalities that spark some wonderful scenes lifted from Willy Russell’s stage play as the mismatched pair work out their differences amid readings of D H Lawrence, TS Elliot and Shakespeare. The film is made all the more memorable thanks to two terrific performances from Caine and Waters – both were nominated in their respective categories for acting at the 56th Academy Awards but, criminally, neither won. Brian De Palma’s stylish Hitchcockian thriller sees Caine play a New York City psychiatrist whose transgender patient begins stalking call girl Liz Blake (Nancy Allen). This twisty (and twisted) drama sees De Palma at his most inspired, his kinetic camera inspiring some truly great visuals to complement the suitably fast-paced and enthralling murder-mystery. Caine is perfectly cast in a role that allows him to break outside of his usual comfort zone. Dressed To Kill is my favourite Brian De Palma film – you can find out why in my full review here. I also had the privilege of interviewing actor-director Keith Gordon who starred in Dressed To Kill alongside Michael Caine – you can read what he said about the actor here. This delightful British caper is fun from start to finish. Caine is lovable rogue Charlie Croker who concocts a plan to steal $4 million in gold bullion using Mini Coopers in Turin, Italy. The ballet of motion to the tune of “Get a Bloomin’ Move On” (‘The Self Preservation Society’) which sees the Mini Coopers make their getaway both on-road and off-road is a treat to behold again and again and again. Surely the undisputed king of Michael Caine movies is this 1971 debut effort from director Mike Hodges. Caine invested a lot of energy into the film, firstly acting as its co-producer, then drawing on his own experiences of the criminal underworld to develop on-screen character Jack Carter which was adapted from Ted Lewis’ 1969 novel Jack’s Return Home. This gritty revenge drama is invigorated by director Hodges’ experience in documentary film, providing a down-and-dirty aesthetic that adds further realism to the sadistic, and at times very graphic, violence. This is framed be Caine’s deceptively tough Jack Carter, a nasty piece of work the audience ultimately roots for, whose detective-like pragmatism is driven by an icy determination to get to the bottom of his brother’s mysterious death no matter the cost. The straightforwardness of Carter’s brutality is at once deeply affecting and memorably downbeat while the ultimate tragedy of the whole affair adds gravitas to proceedings. As Carter finds out more about his brother’s life, the mystery unfolds before the audience as it does for the vengeful sibling, making for a beautifully composed character-driven drama that grips from minute one and builds to an unforgettable conclusion. Over to you: what are your top Michael Caine films? Hang on just one wee minute. No Muppet Christmas Carol? It would have been nice to get Muppet’s Christmas Carol in here but Caine has done so much I love, narrowing it down wasn’t easy. I’m trying to think which Michael Caine film is my favourite, and I can’t simply because they’ve ALL got Michael Caine in them. He’s been one of the movie mainstays for all of my life (Alfie was released the same year I was born) and I thought this article was a fantastic tribute to him. 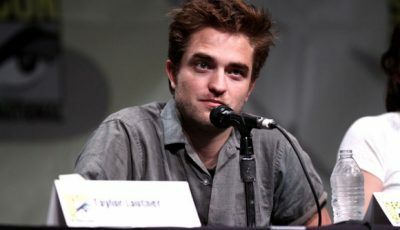 I hope he has many more films to come. Many thanks Michael. Much appreciated. It wasn’t easy leaving off Alfie – looking at my shortlist you could easily create another top 10 list featuring totally different films and no one would criticise you for it. That’s the biggest compliment you can give Michael Caine. Like you, I hope he has many years left in him. I’ve seen a lot of Caine films, but I’ve actually only caught three of these – The Ipcress File, Dressed to Kill, and The Italian Job. I really liked the first one and think it’s an underseen and clever spy film. Dressed to Kill is such a mess, yet it mostly works because it’s so bonkers. 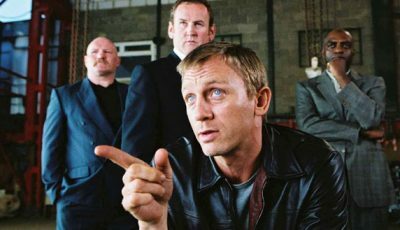 I just caught up with The Italian Job a few years ago for the blog. I liked it, especially the heist sequences, but it didn’t completely work for me. Caine is great in it, though. Dressed To Kill is just so much fun! I love its twisty nature and DePalma’s trademark camera flourishes. I think Raising Cain is similarly bonkers but it shows what can go wrong if the material is badly constructed. Dressed To Kill gets it right, Raising Cain gets it marginally wrong. That said, I still enjoy watching it. I grew up watching Michael on the big and small screen, these are my ten favourite Caine movies. Thanks Paul. Great choices. This makes it even more obvious how difficult it is distilling Caine’s work down to just ten favourites. Admittedly, I never considered either Jaws 4 or Escape To Victory for the list but it’s great to see we are in agreement on The Ipcress File, Get Carter and The Italian Job. The Cider House Rules is my favorite movie with Michael Caine in it, but it may have more to do with Charlize. Zulu is also ma favorite. A couple of brilliant Michael Caine films, Larry. It was a shame I had to leave off The Cider House Rules but there was no way I was dropping the “twisted” and “twisty” delights of the lesser-seen, under-appreciated Deathtrap. But yeah, too many great Caine performances to be confined to a top 10 list. I always watch The Eagle Has Landed primarily because of him, despite his accent; another highly watchable role is in The Black Windmill, which was directed by Don Siegal circa 1974, where he machine guns a guy in the nards through a wooden floor from below while rescuing his kidnapped kiddie. And, as mentioned above, what about The Man Who Would be King? Plus he’s made a few stinkers – The Island and Blame it on Rio come to mind, as does The Swarm and Beyond the Poseidon Adventure. Also, has anyone noticed that Jude Law has revived not one, but two Caine performances for remakes (Alfie and Sleuth)? It’s a funny old list Dan when his two Oscar(TM) winning roles are only mentioned in the preamble. Having said that, I probably agree with Get Carter as No 1, although I would have bumped Zulu up quite a few notches. Given the talent involved in The Man Who Would Be King I was surprised how much I didn’t enjoy that one. 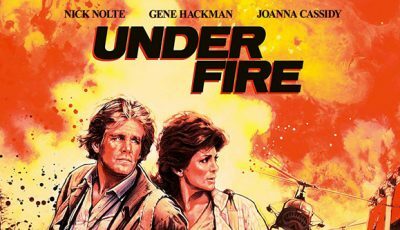 Caine is brilliant but I wasn’t impressed with Connery and the whole film felt old-fashioned, particularly because it was made in the middle 1970s when the American film industry had moved on. The Eagle Has Landed is another one that I really can’t watch. Too long-winded and messy. I’m certainly aware of Jude Law soiling the great name of Michael Caine. 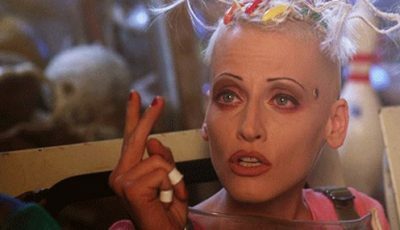 How dare such a talentless individual rework pieces of cinema that needed no such touch-up or contemporary re-imagination. 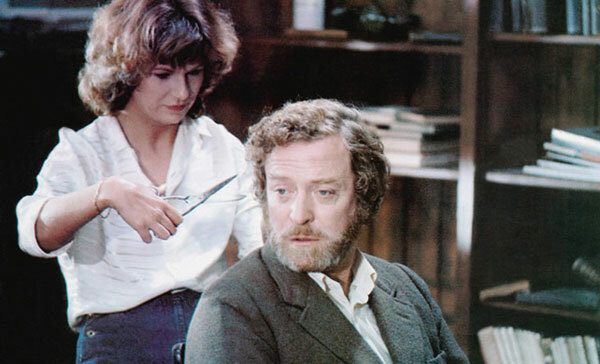 It was one of Caine’s few mistakes to get involved in the Sleuth remake but his performance is still worth watching. In regards to the Oscars, I think they get it wrong time and time again. That’s why they give out Oscars to Scorsese for Best Director for The Departed (an admittedly fine film) when the man has probably four others just as deserving. 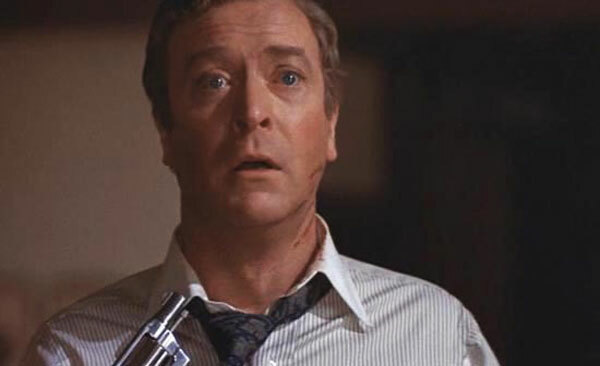 I nnow, I know…it depends who else is in the field but I really feel the Academy Awards have missed some of Caine’s best performances. Educating Rita is definitely one of those (which was thankfully rewarded by the British Academy Film Awards). 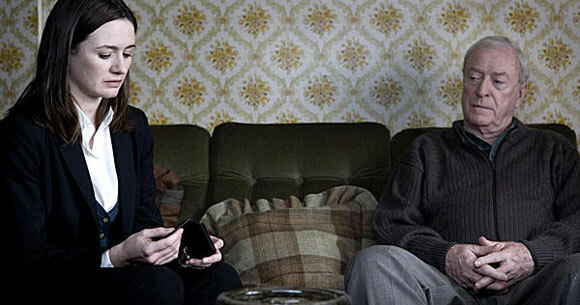 Harry Brown is another but of course the Academy Awards would never go near such a film. Top article, dude. I love Caine & think he’s very underrated. Only film I’d strongly consider adding is Play Dirty. When you look at his body of work it really is astonishing that he isn’t talked about in the same vein as De Niro, Hoffman, Pacino et al. Perhaps it is because much of his earlier classics were British productions that don’t play as well in the States (ie. The Italian Job), while some of his more recognisable American productions weren’t as popular or as good (ie. Jaws 4: The Revenge). Glad Christopher Nolan has given him plenty of exposure in recent years though. I can’t believe I only saw Deathtrap on this list but he’s excellent in that one. I really love him as Alfred in Nolan’s Batman’s films, as well as in Cider House Rules. Awesome list, Dan! Thanks Ruth. I’m glad you’ve seen Deathtrap…it is one of his lesser-seen movies but definitely a favorite of mine. But I’m a sucker for good stage-to-screen adaptations where the movie-version keeps the action centered in one location. That’s another reason Sleuth makes the list. If you like Deathtrap, please check out Sleuth as they are great companion pieces. @Paul S …. good call on Too Late the Hero; Caine’s closing line is a classic. Here’s a possible film joke: (Q) What do you get when you cross Stanley Kramer with Quentin Tarantino sans the profanity? (A) Robert Aldrich. God, I haven’t seen Zulu in years! Thanks for reminding me about it!!! And you’ve piqued my interest on Sleuth… I think it was remade a year or so ago, and I remember thinking it didn’t look too bad…. …ignore the remake Rodney, check out the original if you can. I’ve said before I’m a sucker for stage-to-screen films that utilise a small or restricted stage, so Sleuth is always going to get points for that. It is great to see such acting heavyweights on screen together with very little distracting from their performance. I’m not saying Olivier is perfect in everything (I’m not sure he’d be saying The Boys From Brazil was him at his best) but I had no problem with him here. I’m forever astonished by the power of script and performance in Sleuth (of the 1972 variety) and I couldn’t wish for two better performers. …if I had a criticism of Caine it would be his penchant for turning up in remakes of his own films. Case study no.1: Hey, Sleuth 2007, get the heck out of here! Case study no. 2: I recently had the displeasure of enduring Sly Stallone’s version of Get Carter! Great, well laid out and detailed listing! Can’t disagree with placements and critiques. Personal favorite is Huston’s ‘The Man Who Would Be King’. Splendid team up with Connery in old fashioned costumed story telling. But one would be hard pressed to top ‘Get Carter’. A great Brit crime story which should never have been re-made! The Man Who Would Be King was definitely a consideration because of how widely loved it is. But for me, it is that “old fashioned” nature that turned me off it. I’m used to seeing 1970s American cinema go against the establishment and while it’s great to see something that harks back to a different era I couldn’t help feeling cinema had moved on. And, unfortunately, Connery didn’t do anything for me – he was upstaged by Caine. I’ve seen critiques highlighting Caine’s eccentricities as one of the film’s flaws but for me it was the highlight. Perhaps that’s the key reason why I’m not as big a fan of the film as many others are. 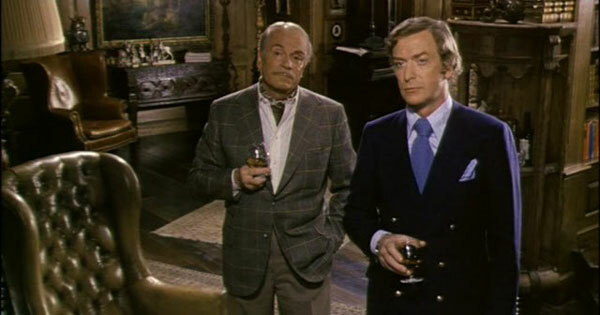 Nice to see Dressed To Kill on here, one of my favorite Michael Caine films. Great to hear Neal. Dressed To Kill is definitely a favourite of mine – love its crazy twists and turns and De Palma’s stylish camerawork. I’m a big fan of De Palma!, as well Dan!! I always liked Blame It On Rio, although certainly not his best work , it is a fun film. Muppets Christmas Carol? It’s amazing! I think I might have slapped you if you included that crappy Jaws film he was in, hahaha. Great list overall, some wonderful choices. Especially, Get Carter. Well, there is a wonderful story to go along with Jaws 4 that Caine details in his autobiography. Essentially it was a toss-up between not doing any movie or doing a very bad one IN THE BAHAMAS! I can’t blame him for taking the pay cheque and a bit of sun in paradise! I re-watched Jaws 4 again recently and couldn’t get my head around its various plot holes and crazy diversions. Ironically, in a film where practically nothing works, the shark’s performance is possibly better than in the incredible original (but that isn’t necessarily a compliment!). Wow! I really need to see more Michael Caine films. He’s really done so many good ones. One that you are missing and I’m really offended that it is not on here, is JAWS 4. How anyone can leave this brilliant film off any list is awful. Dan, you should be ashamed of yourself. Haha…that’s a brilliant story Dan. The one I remember is when he decided to do the film even though he knew from the script it would be rubbish. That story ends with an extended holiday in the Bahamas and, of course, a nice pay cheque! …I would recommend his autobiography to any fans – his charisma really comes through and the writing style is conversational and relaxed. There’s loads of great anecdotes and he seems to have socialised with and befriended some of Hollywood’s greatest stars (from Sinatra to Elizabeth Taylor). 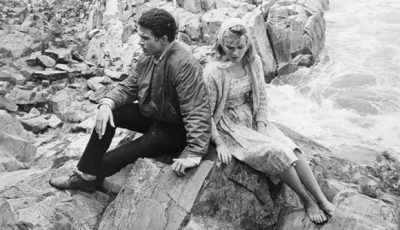 And he dated some of the 1960’s hottest stars as well before he met wife Shakira (Nancy Sinatra and Natalie Wood to name two). Good list, by the way, my own ignorance notwithstanding! …hope you find some new films to enjoy. I’d recommend The Italian Job as a good starter. I mostly know Caine from his more recent work, so your piece was a treasure trove of undiscovered gems. A lot of new films are up on the Netflix queue. Thanks for the recommendations Dan! Boy I need to see more Michael Caine’s earlier films! Deathtrap is a good one, which I saw years ago because of Christopher Reeve. I like the sound of The Ipcress File!